Platinum credit cards are usually associated with the affluent – the movers and shakers of the business world, the influential personalities, and the social elite. Qualifying for these cards require high minimum income, but comes with considerably higher or uncapped credit limits than standard credit cards. More specific rewards depend on the issuing bank of your platinum credit card. For example, some banks may focus on promotions with hotels and restaurants, while others have long-standing partnerships with airlines. 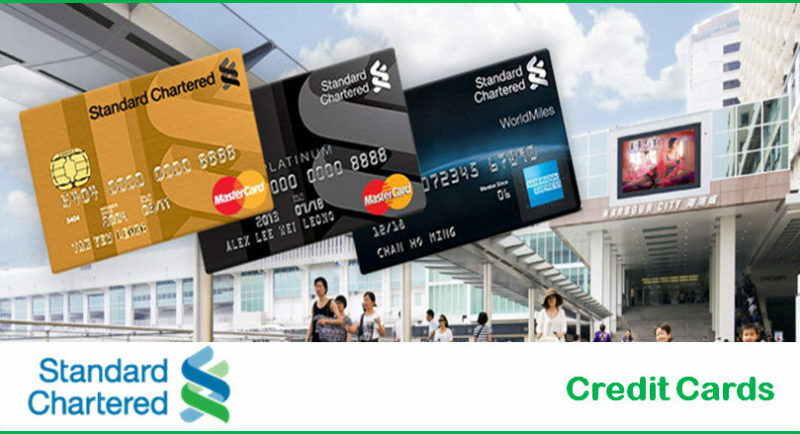 A good example of this is the Standard Chartered platinum credit card, which holders can take advantage of the Evergreen 360° Rewards program. You will earn rewards points, which don’t have expiry dates, not only from credit card purchases, but also from deposits, investments, insurance, and more. You can also redeem these points as cash coupons, merchandise from partner establishments, and mileage Asia Miles and KrisFlyer, which cover 50 airlines. Welcome offers to new platinum credit card holders also include up to HK$800 shopping vouchers. HSBC, on the other hand, offers ten times the rewards points when you conduct online transactions. This includes purchasing tickets, hotel and other travel bookings, online shopping, and even food orders. They also have up to 14% instant discounts on petrol, and up to 9% discounts on travel bookings. HSBC also waives annual fees for their Advance Visa Platinum members. Citibank Prestige offers its card holders up to 30% annual relationship points with partner establishments, as well as unlimited global airport lounge access via Priority Pass™. You also receive priority offers to purchase tickets and gain admission to global events and experiences – Broadway shows, courtside seats at world-famous sporting tournaments, fashion shows, and more. Platinum credit card rewards and annual perks regularly get updated and upgraded to ensure loyalty from existing card holders. Sign-up bonuses also get refreshed periodically to attract new customers and entice card holders from other banks to switch.Platinum credit cards also try to appeal to a certain market segment. For example, one card can offer more exclusive treats and incentives related to international travel, which could mean more air mile rewards and room upgrades. A platinum credit card is more than just a status symbol. With greater purchasing power, bigger and faster rates for earning points, and several exclusive offers and incentives, this card is an excellent gift to give yourself (and your loved ones, too) for your hard work and discipline. It also pays to have peace of mind, knowing that you’ll most likely never run into a financial emergency. Review your options, consider your lifestyle, and make the choice for the best platinum credit card for you.